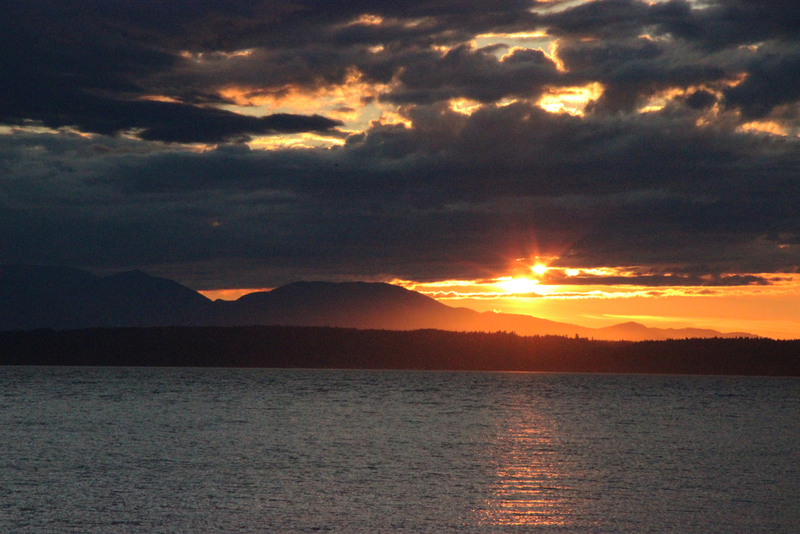 After leaving my cousins' home in Battle Ground, Washington, I headed north to Seattle. I arrived much earlier than I anticipated and my friends were still at work, but one of them suggested that I catch the sunset at Golden Gardens. I hadn't been there since 2013 and I haven't actually sat and watched a sunset in just as long. 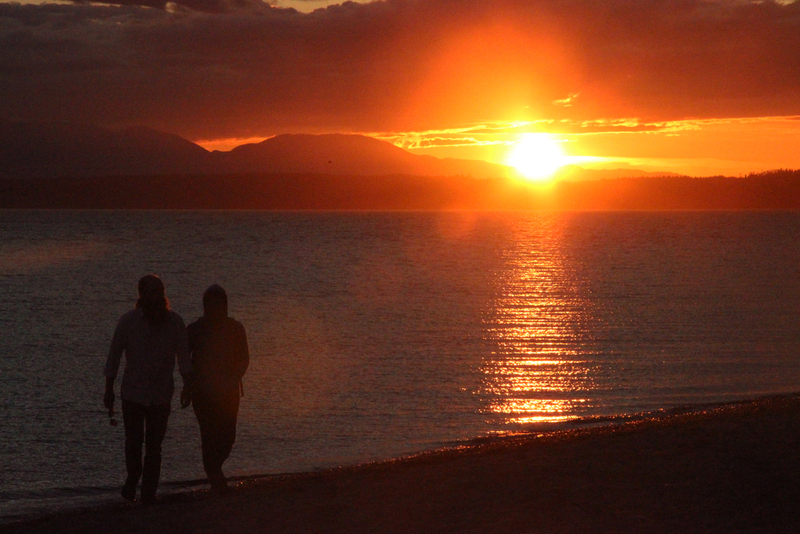 Golden Gardens didn't disappoint. I noticed when I got out of my rental car that there were wild blackberries growing nearby on bushes about ten feet tall and I grabbed a handful from as high up as I could reach (hey, those ones are less likely to have been peed on!) to eat while I watched the sun setting. I sat there eating my stolen berries (and maybe some gummy dinosaurs I had stashed in my bag) for about a half an hour. There were people everywhere! It was pretty entertaining just to listen to what everyone was saying. As I was getting ready to leave, a couple walked in front of where I was standing and shooting. I snapped a few photos and then approached them. I was definitely nervous because I absolutely don't consider myself a professional photographer, but I showed them the photo and gave them my business card in case they wanted me to send it to them. I still haven't heard from them but either way, I really like the way it turned out!